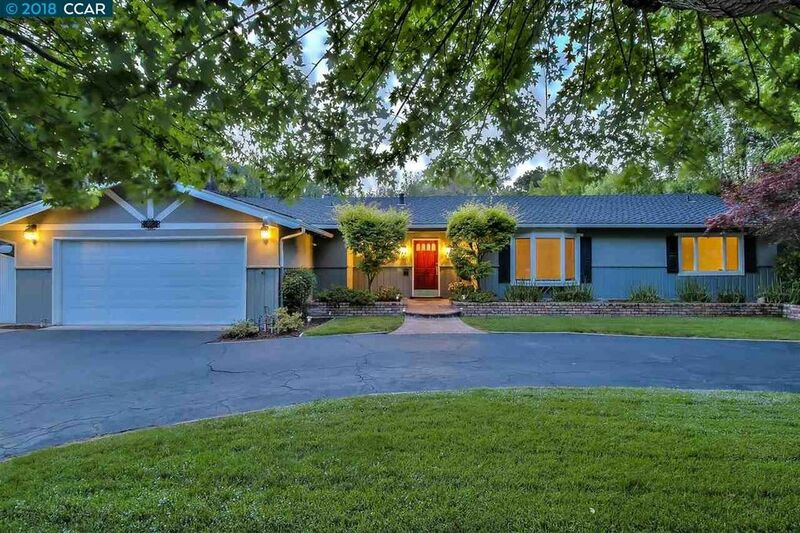 Retreat from the city to this gracious and elegant ranch-style home in Rheem Valley, one of Moraga's most desirable neighborhoods with top rated schools. Lovingly maintained and beautifully updated 4bed, 3bath home with its flexible floor plan offers great use for many years to come. Indoor-outdoor living-entertaining abound. An expansive sliding glass door from the dining area opens to a covered paver patio, yard, inviting pool for play, conversation, dining. Spacious living area with bay window looks out to a mesmerizing view of the lush landscaping. Updated kitchen offers great counter top space with a long breakfast bar, opens to a spacious dining area. The master bedroom with sliding glass door overlooks the tranquil pool, garden. Built-in shelving provides office capability in 4th bedrm. Close proximity to shopping, parks, trails, schools, transportation adds to the desirability of this beautiful home.